Offering a fresh perspective on the river’s environment, industry, and recreation, Dreaming the Mississippi challenges old stereotypes through the experiences of modern Americans who work the barges, rope-swing into muddy bottoms, struggle against hurricane floodwaters, and otherwise find new meaning on this great watery corridor. In an engaging voice, earnest and energetic, Katherine Fischer describes how the river’s natural and human histories overlap and interweave as she tells of her own gradual immersion in its life—which led her to buy a house so close to its banks that each spring she must open her basement doors to accept its inevitable floods. Fischer blends stories of people living along the river with accounts of national and global consequence. She weaves humorous accounts of river rats and towboat pilots with stories of sandbagging against a flood tide that refuses to be contained. She tells of river hangouts—“joints” that literally join segments of humanity along the river—as she revels in the colorful clientele of her favorite waterfront taverns. Some chapters connect the wildness of this mythical river to outside regions such as the Great Salt Lake and Florida, taking the lure of the mighty Mississippi as far as Japan. Another chapter, about the river’s mouth, “Gulf,” considers the gulf between engineers and naturalists—and between America’s haves and have-nots—as it offers heartfelt reflections on Katrina’s wrath. 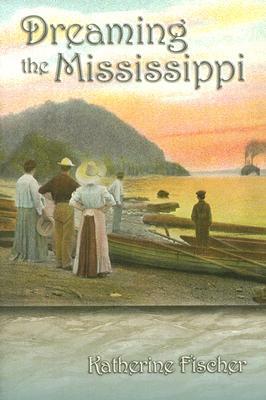 Through compelling words and photographs, Dreaming the Mississippi invites readers to taste life on today’s Mississippi, as sweet, tangy, and wildly cantankerous as it gets. In conveying her understanding of contemporary life along the river’s length, Katherine Fischer has much to teach us not only about reverence for this glorious American waterway but also about our eternal connections to the natural world. Katherine Fischer is Associate Professor of English at Clarke College, a consultant to the National Mississippi River Museum and Aquarium, and a newspaper columnist. She lives on both sides of the Mississippi--atop river bluffs in Dubuque, Iowa, and on the floodplain of a backwater slough at Frentress Lake, Illinois.